Another week in the books and there are injuries all over the place along with suspensions. It's been a very odd year already to say the least, but this will be the year the working the waiver wire gets you into the playoffs. Terrance West (RB, CLE) - he was a "check again" last week and for some crazy reason if he is still on your waiver wire he needs to be picked up. 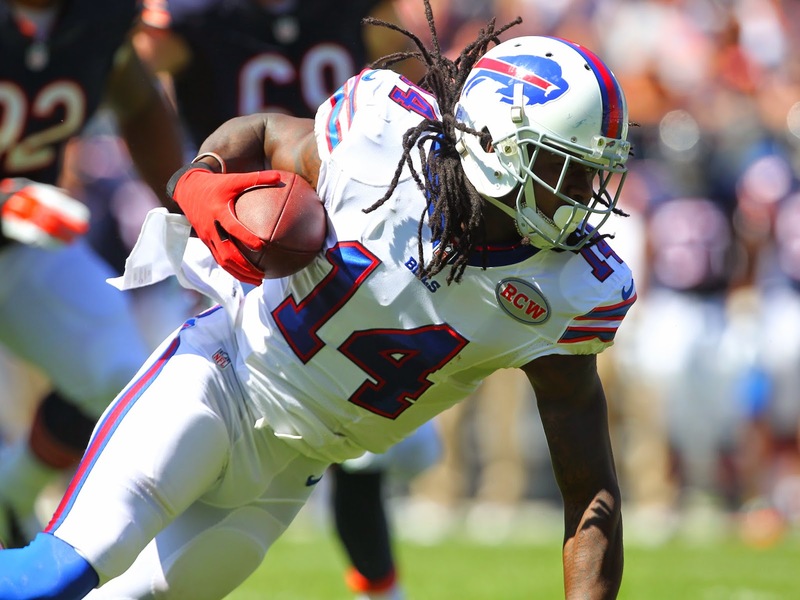 Sammy Watkins (WR, BUF) - he better not be on your waiver wire, but if he is then snag him quickly. Lamar Miller (RB, MIA) - if he was dropped and is able to be grabbed then pick him up since Knowshon Moreno will miss 4 to 6 weeks. Antonio Gates (TE, SD) - the trend of finding Gates in the end-zone won't stop. Kirk Cousins (QB, WAS) - RG3 is nursing an injury for at least a month and if you are scrambling for a QB then Cousins can be a spot starter. RG3's injury appears to be serious and Cousins is capable of running the offense. Khiry Robinson (RB, NO) - he will get a lion share of the workload and is a must grab for this week with Mark Ingram looking to miss a month. Pierre Thomas is more involved in the pass game but look to Robinson to be the goal-line back. Knile Davis (RB, KC) - if Jamaal Charles misses some time then look for Davis to fill his spot. He is a must grab for all Charles owners and a solid stash. If Charles misses next week Davis is looking extremely solid. Chris Ivory (RB, NYJ) - the Jets are going with the "hot hand," and Ivory clearly looks better than Chris Johnson. He does come with risk if you decide to start him, but if you need a RB then look to Ivory. Danny Woodhead (RB, SD) - he is only useful in PPR leagues, but he will get usage weekly and if Ryan Mathews misses any time then Woodhead will be a nice plug-and-play RB. Bobby Rainey (RB, TB) - if Martin is out again next week then Rainey is a solid spot starter and a must grab; that's two weeks in a row of fairly usable numbers so he warrants a bit of respect. Delanie Walker (TE, TEN) - Locker looks Walker's way many times and if you are in PPR league that requires a TE then Walker is someone to consider. Mohamed Sanu (WR, CIN) - AJ Green may be dealing with turf toe and Sanu would be the #1 WR in CIN. If you are in dire need then look to Sanu, but he is going to be boom or bust. James Jones (WR, OAK) - I am personally glad Jones finally showed up in PPR leagues; I drafted him in a number of leagues with my last round pick. He is still very boom or bust but if he can keep up some rapport with Carr then he could be good for a bye-week. Damien Williams (RB, MIA) - Damien Williams is a nice stash at this point but don't be shocked if you start hearing his name more and more. Travis Kelce (TE, KC) - you are starting to see the evolution of Kelce; he is a solid stash right now as he finds his groove. He is worth grabbing if you have space. Niles Paul (TE, WAS) - no matter who is at QB Paul is getting targets. As long as Reed is out then Paul is a legit spot starter. Davanta Adams (WR, GB) - it's clear that Adams will be the WR3 in Green Bay. He has tremendous upside and could become a bye week filler on your team. Brian Quick (WR, StL) - he is a big target for whomever is QB for the Rams. Quick is really only usable in PPR leagues. Donald Brown (RB, SD) - Donald Brown is going to take over for Ryan Mathews and should produce usable fantasy numbers. He is a bit of a stash as well as I see a solid amount of upside for Brown owners. Jonathan Stewart (RB, CAR) - as long as DeAngelo is out Stewart is a spot starter for your team. If he can keep things going strong he could become the lead RB in Carolina. Jonathan Dwyer (RB, ARZ) - He is the goal line back in Arizona and Andre Ellington is 100% healthy. 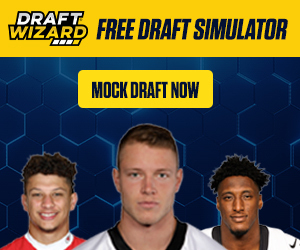 If you are in a TD league he is worth a spot start if you are in a bad situation. CJ Anderson (RB, DEN) - he was given some additional usage this weekend and he needs to be kept under a close eye and potential stash. Aaron Dobson (WR, NE) - Kenbrell Thompkins was out this week and it gave Dobson a chance to play. He is worth keeping an eye on. Eddie Royal (WR, SD) - he was targeted a ton by Philip Rivers and he would only be useful in a PPR league. Matt Asiata (RB, MIN) - not much of a surprise here that he would do well with Adrian Peterson out. Last year he put up solid numbers if you are looking for a flex or spot starter. Peterson is being reinstated so temper any expectations unless AP misses more time. Miles Austin (WR, CLE) - found the end-zone this week and as long as Jordan Cameron is out then Austin carries a bit of upside due to lack of receiving options in Cleveland. Larry Donnell (TE, NYG) - it's not mystery that Eli Manning passes to his TE; only PPR league owners need to keep an eye on Larry.